Geek Lit Etc. : Finding the truth of a story can be dangerous, indeed. Finding the truth of a story can be dangerous, indeed. Growing up as a trouper gives a kid a very useful skillset. By being onstage from a young age, he learns to show his audience only what he wants them to see. Part of his chores necessarily includes the tasks of travel: keeping the animals cared for and healthy; setting up a campsite; preparing for bad weather. Book learning might be limited to that of the group he's in but there's often the wandering scholar who travels with the troupe for safety, and that type is always too eager to share his knowledge with an eager listener. All in all, young Kvothe was very well prepared for the life ahead of him in Patrick Rothfuss' The Name of the Wind. Kote runs an inn along the road. Life as an innkeeper can be interesting, but of course it depends on who happens to wander by. The nights that no one stays, though, can be quiet. A solid sort of quiet that pervades the building and smothers the spirits of Kote and Bast, the two who live there and run the place. Recently, though, there has been a bit more action in the area than usual. The stuff of fairy tales - spider-like creatures that can't be killed, campfires burning blue - have been spotted in the area. It's gotten so bad that the innkeeper himself goes out in the night, and ends up rescuing a man known as Chronicler. But of course, Chronicler has a good nose for a story, and the humble innkeeper looks quite a lot like the legendary Kvothe. Forgoing an important meeting, Chronicler settles in to record the life story of one of the realm's most storied adventurers. The bulk of the novel takes place over one evening of tales. Kvothe begins with his childhood as a trouper, travelling with his parents. Along the way, they end up taking on an arcanist named Abenthy, who is the first to truly realize Kvothe's potential. With Ben, Kvothe's love of learning turns towards entering the Arcanum at the University, where scholars learn to control the magic known as Sympathy, as well as the location of the grandest library in the land, the Archives. But even the most charmed childhood has to end sometime, and for Kvothe it ends at the hands of the Chandrian. Thought to be a story told to scare youngsters, Kvothe learns all too well just how real he is. And his mission slowly turns to learning all he can of the Chadrian, and, perhaps someday, how to defeat him. On the first night of storytelling, we follow Kvothe from his origins in the troupe through his first year at University. Along the way, he experiences joys and sorrows, first love and great loss. his trouper skills serve him well time and time again, and his whip-sharp intelligence gets him into just as many scrapes as it gets him out of. 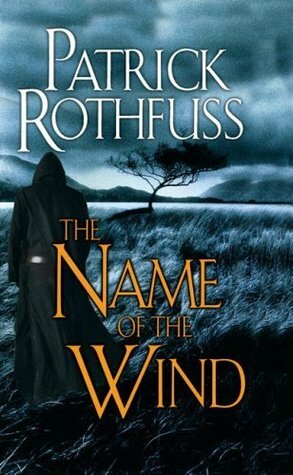 The Name of the Wind is epic fantasy of the highest caliber. From bards to demons to even a tree-munching dragon, this book has something for just about every fantasy fan. Highs: The scene where Kvothe is at the tavern 'earning his talent' plays on the heartstrings of anyone who has been on stage. Lows: The rivalry between Kvothe and Ambrose should have handled much better by the University. Verdict: The Name of the Wind is an instant classic fantasy novel that's not to be missed.